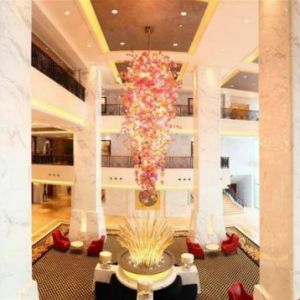 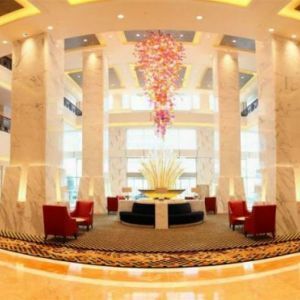 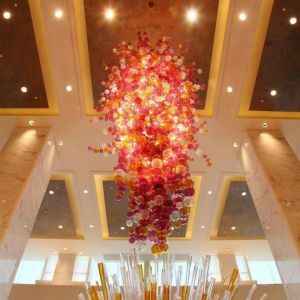 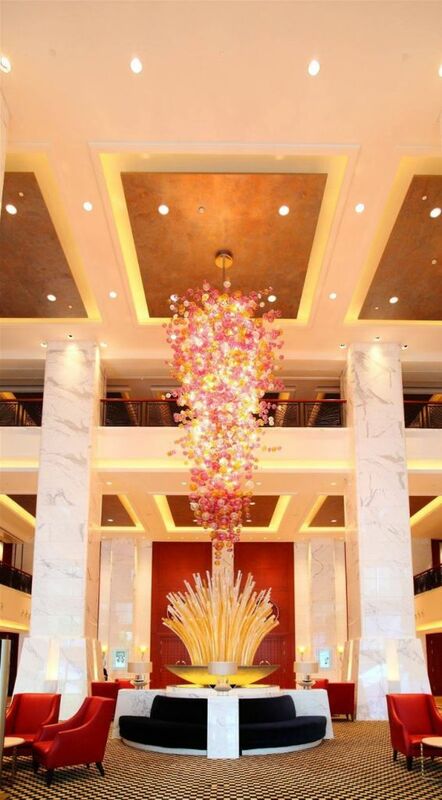 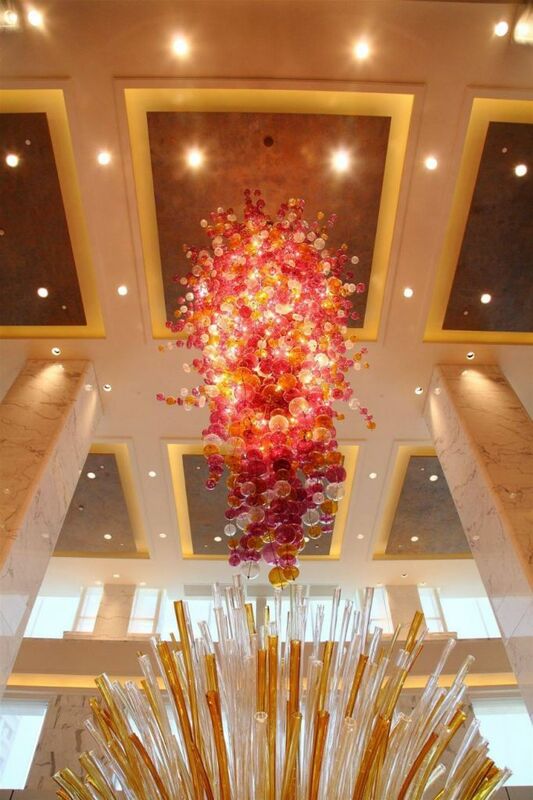 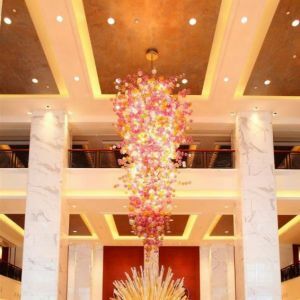 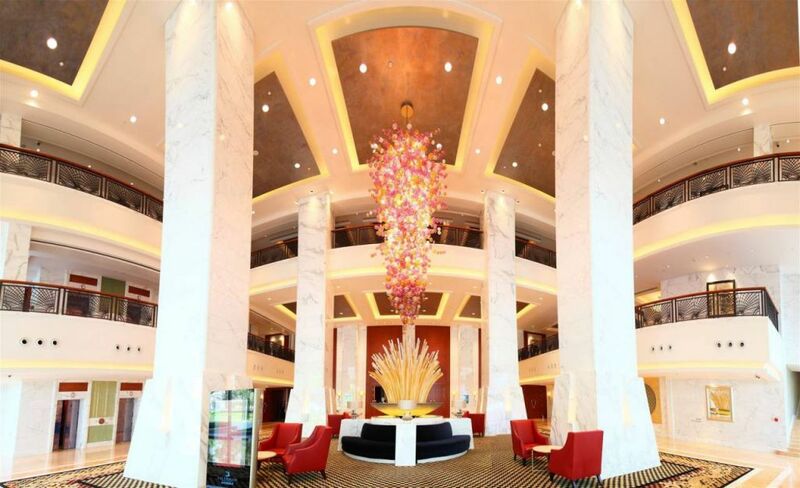 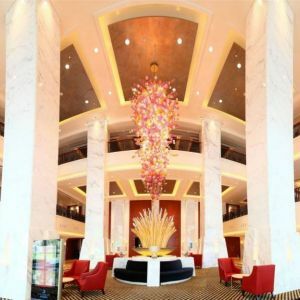 PRECIOSA Lighting accented the interior decor of the Dragon Hotel with three modern light fixtures in the West Lobby and Conference Center Lobby. 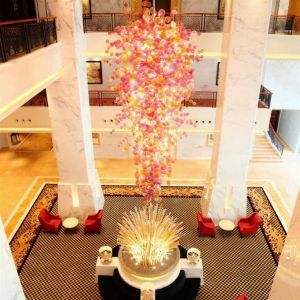 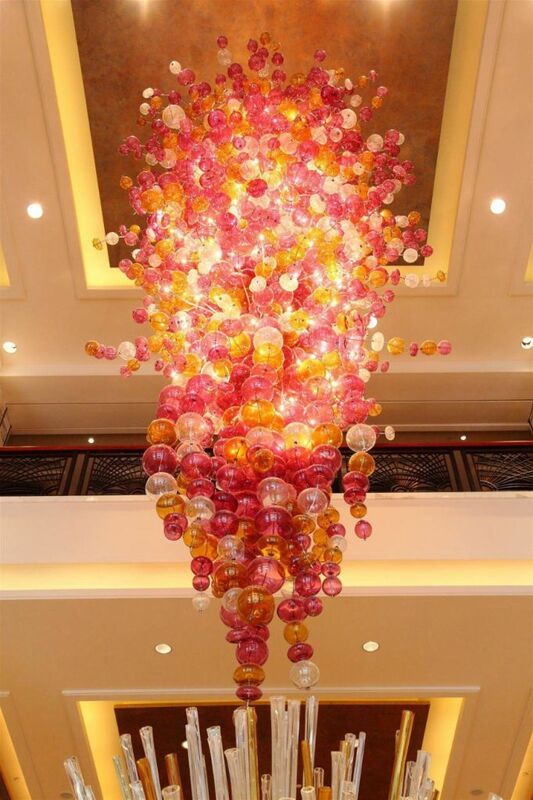 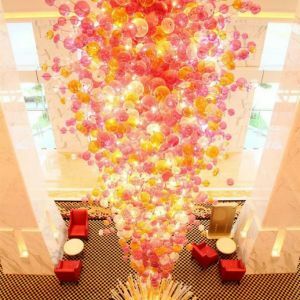 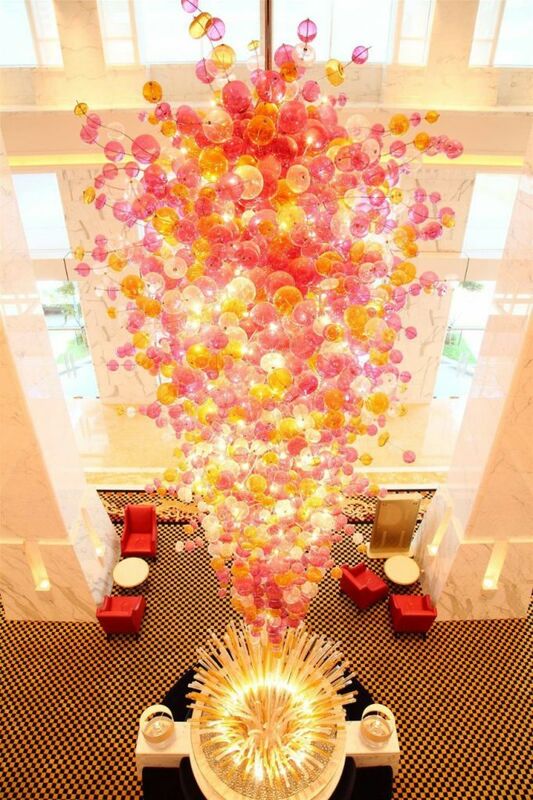 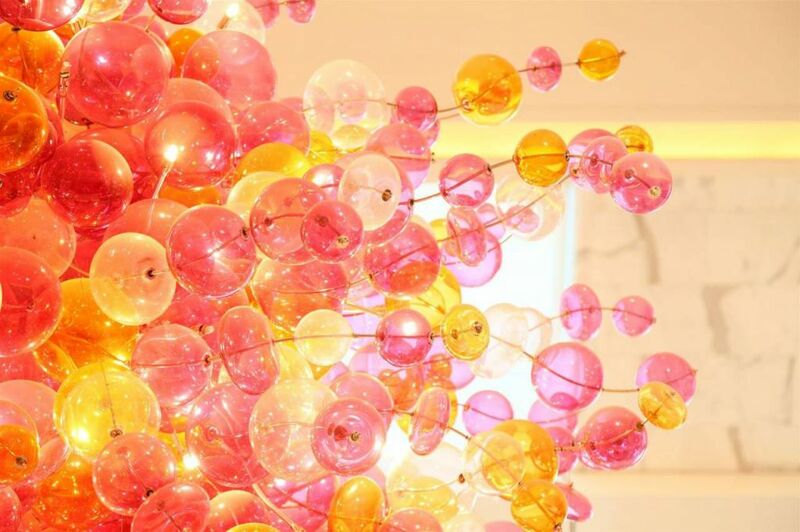 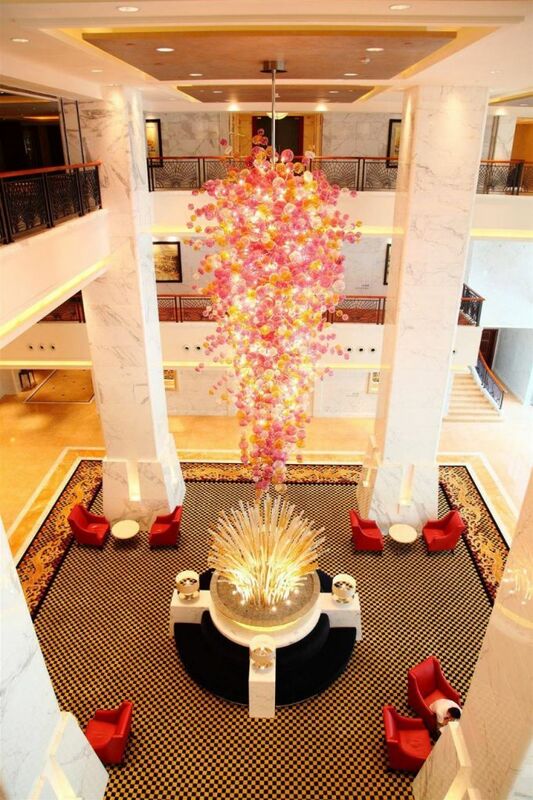 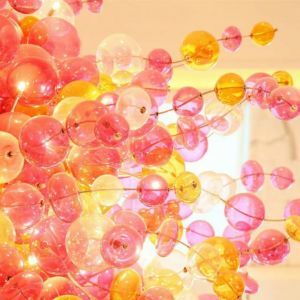 Built in cooperation with LRF Hong Kong, the fixtures consist of clusters of glass grapes measuring 3.5 to 8 meters, made up of nearly 18,000 hand-blown glass spheres in five different sizes and various hues of purple and amber. 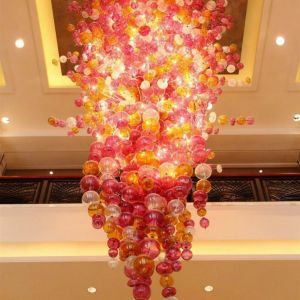 The individual glass spheres are mounted on flexible metal cables that enable variation and adjustment of the final shape of the fixture and influence over the direction and effect of the light flowing through the clusters.